Here is a list of useful tools. I believe it's important to have the factory manual. 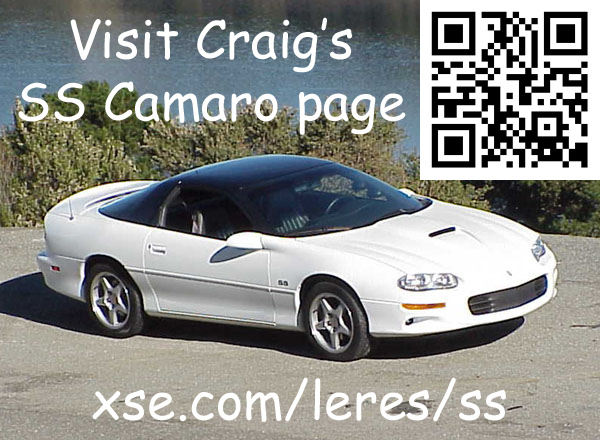 It contains the same information technicians at your dealer use when they work on your car. It's has torque specifications, wiring schematics and lots of other useful stuff. The best place to buy a manual is from Helm Incorporated. 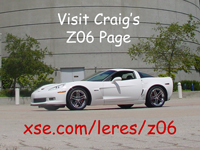 I paid $135 + shipping for the 2007 Corvette Y-Car Service Manual Set back in 2007. The last time I checked the price was $200. I have a good jack from when I had my 2000 SS Camaro, a Lincoln 2-ton (W93642). It has a cup that is pretty low but not low enough for a C6 Corvette so I picked up an AC Hydraulic DK20Q. The DK20Q is really low. Modern Corvettes have slotted holes on each frame rail. Called "frame rail shipping slots" these accept t-hooks and are used to chain the vehicle down for transportation. The shipping slots can also be used to jack the car up. The factory tool is a Kent-Moore J-43625. However the C6 Z06 has an aluminum frame and a taller jack puck is needed to avoid damaging the rocker panel so I bought a Katech jacking puck. For jack stands I like the ESCO 10498 3 Ton. The jack pads have rubber covers and to not mark up the suspension. Reverse Logic sells a useful tool called a threaded lug guide. Usually used in sets of three these are make it really easy to install a wheel without drama. Mine are the long version (M12x1.5-SS-F-200) and are about 8-7/8" long. GearWrench (formerly K-D Tools) 3888D push pin pliers can be helping for removing the plastic body clips. Years ago I had two sets of RhinoRamps. I paid about $30/pair at the Walmart and they worked great with the cars I had at the time. But they're way too steep for my Z06 so I ended up getting a pair of Race Ramps. There are a lot of models but ultimately I decided on the RR-72-2 which is 72" two-piece design that features a two-stage incline. Reverse Logic always runs a sale and had the best deal when I was in the market. When I got them I spent a few minutes placing them and then used a paint pen to mark the corners for each car. Now when I want to do an oil change I set the ramps and drive up like a pro.